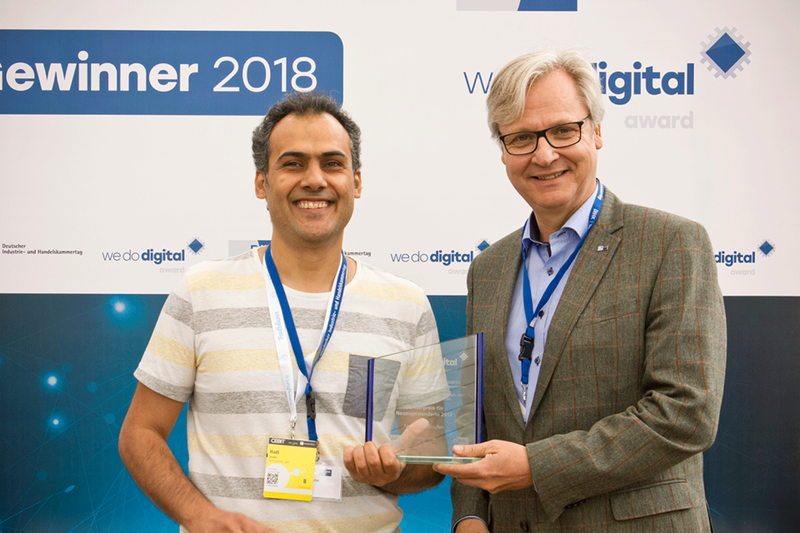 The winner of the Berlin Newcomer Startup Award, Hadi Soufan is taking on the valiant mission to rebuild Syria, through a startup that assists people with the tools they need to rebuild their homes after destruction stroke. History is packed with stories of countries that were plagued by war and destruction, leaving millions of people displaced from their homes. The most horrific yet remarkable example is the transformation that happened for the Japanese cities of Hiroshima and Nagasaki post World War II. In 1945, following the effect of the American nuclear bomb, the attack destroyed nearly 30% of Nagasaki, flattening almost everything in its districts. Now, over 70 years later, Nagasaki has restored its economic greatness and flourished its culture and tourism. Endeavors to rebuild war-torn cities could happen by both official or public intervention. Eventually, some people perceive it as an opportunity to re-design their landscapes and redraw their homes to make it even better than before. Hadi Soufan is one of them. Hadi left Syria in 2015 and moved to Germany as a student after he launched various initiatives in his home city of Homs. “I launched a campaign in June 2014 to revive the neighborhood I lived in, where I invited people to rebuild their homes and re-open their store,” Hadi recalls. After the movement’s initial success, continuing became an uphill battle for him. “Due to the initiative’s success, the situation became very hard and dangerous so I had to leave Syria,” he says. Homs, once known as a melting pot of many ethnics and religions living together in peace, became the “City of Ghosts”. 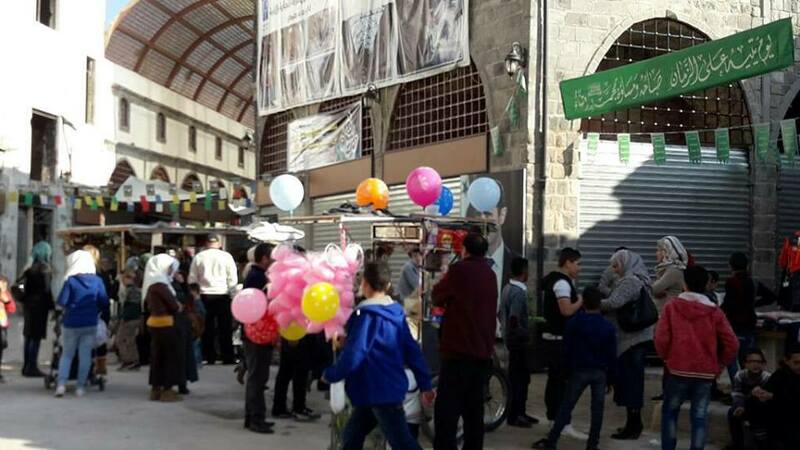 The project in Syria began under the name “Reviving Al Dablan Street” in Homs – a main street in the city, which is attractive to tourists,” he says. The city, once known as a melting pot of many ethnics and religions living together in peace, then became the “City of Ghosts”. Hadi describes Al-Dablan street saying “the street became known as the Street of Death during the war”. It is difficult to describe the relationship between Hadi and his home city Homs, the place where he was born, where grew up up, and where he managed to escape death many times. “There I was born, and it remained a war zone during my stay there up until I left. I experienced the fall of rockets, bullets, and snipers every day,” Hadi says remembering his home before leaving. Most significantly, Homs is where he started his business around reviving the ruined homes. “This movement’s success means we can restore peace, and there are always people who counter peace and fight hard to keep ongoing wars.” he says. The best scenario for Hadi was to leave Syria and start in Germany. 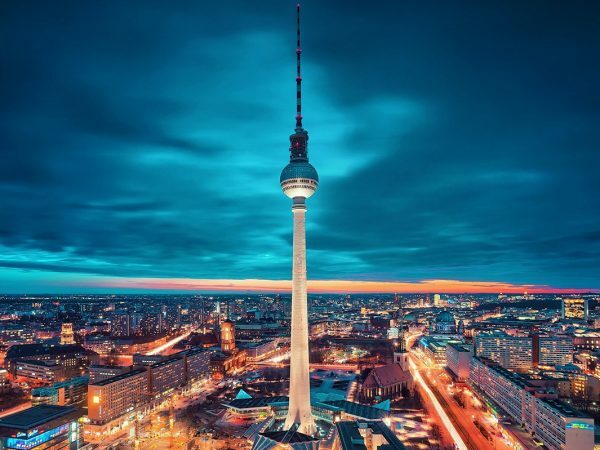 He reached Berlin with a regular visa and as a student, but once he settled there, he changed the accommodation to be able to open and register his business. It was pretty hard the first couple of months, however, the friends and community there trusted and encouraged him to launch more initiatives similar to the ones he did in Syria. Hadi started to note down the disadvantages, steps, and requirements needed in the process, upon which he created “Reviving Home,” a startup that guides people who want to rebuild their cities during and after the war, leading through the steps the person needs since the war starts to recreate his life and rebuild his home. Managing the business online is different from managing it on the ground. “It is still an under-construction digital platform. I took it upon myself to educate myself on how to manage a business on the internet for the past 4 years. I learned how to use online software programs and to utilize different business areas such as customer relationship management and digital marketing.” Through these tools, Hadi is able to lead a big team that has grown to 25 people. As the business reels on, he learned better how to manage an online business, “we started the online platform very lately as it requires a lot of money and many skills,” Hadi added. Hadi is an entrepreneur at heart and has no other experience than entrepreneurship. “Ever since graduation, I never worked a regular job. I only tried once to work in Saudi Arabia but I left soon after, I’m not meant to be an employee,” he points out. 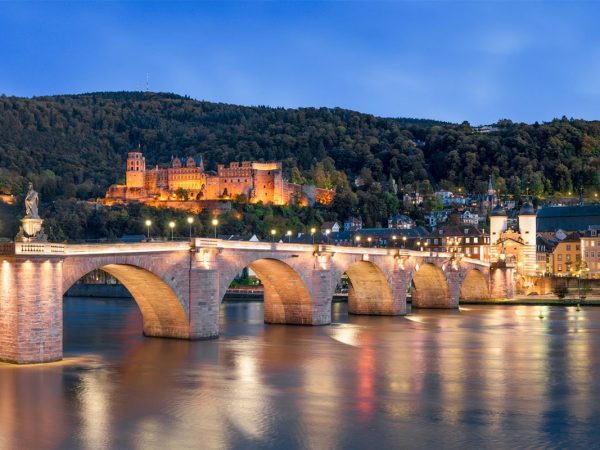 In Germany, he works and has been funding his own project until last December 2018, when he won the Berlin Newcomer Startup Award by SINGA Business Lab, getting the first bulk of money to be injected in the project. 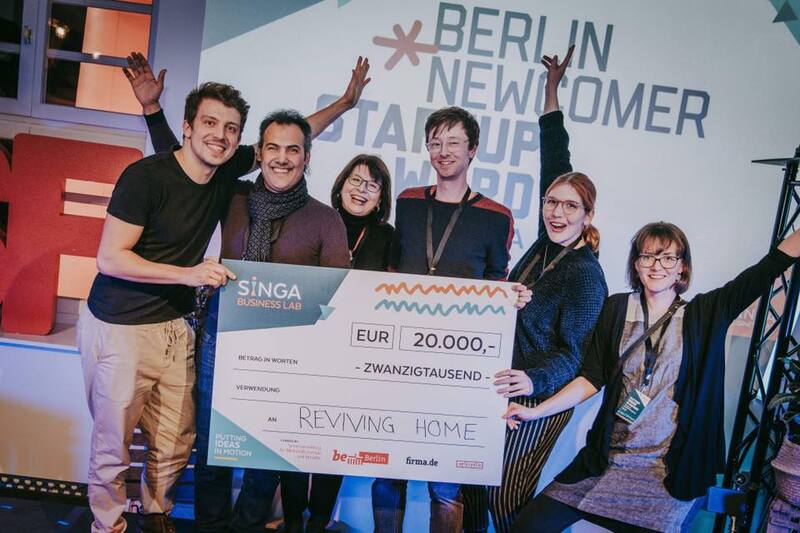 The startup also won before the “We Do Digital” award held Germany-wide.“Reviving Home” is currently a Non for Profit organization registered in Berlin to work all over the world. 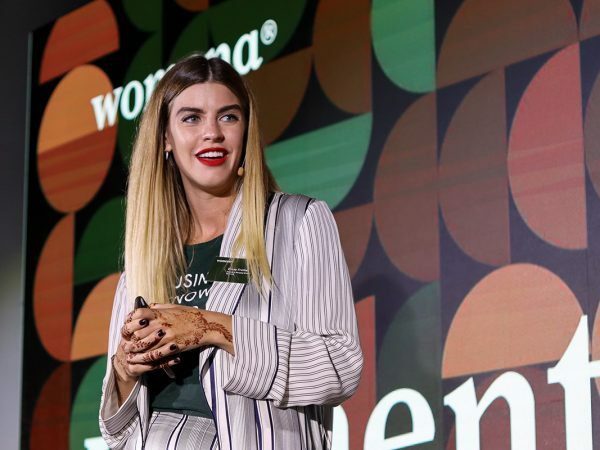 “Receiving an investment for NGO is not easy, but we can still apply for competitions and donations.” The startup was also enrolled in “Startup Your Future” program that served it well in terms of marketing. “We as Syrians, after the war, have changed a lot,” says Hadi, who drew upon his experience as an architect to become a full-time entrepreneur with an architectural twist. But that’s not the transformation he is talking about. “Before the war, I was self-centered person, I used to think of marriage and having a family and stability; I used to think of architecture only as a way to design beautiful buildings and decor, not as a way to change lives,” he continues. “I know very well how a person can live under war and live in fear. My dream is to reach out for these people and help them during and not after the war,” Hadi adds, describing his biggest dream. Hadi’s accomplishments vary between emotional and financial ones. “As a newcomer in Germany, I was looked at with skeptical eye as a refugee. To gain people’s trust and respect is a huge challenge.” Hadi has now grown a large network, and people know him and his project. 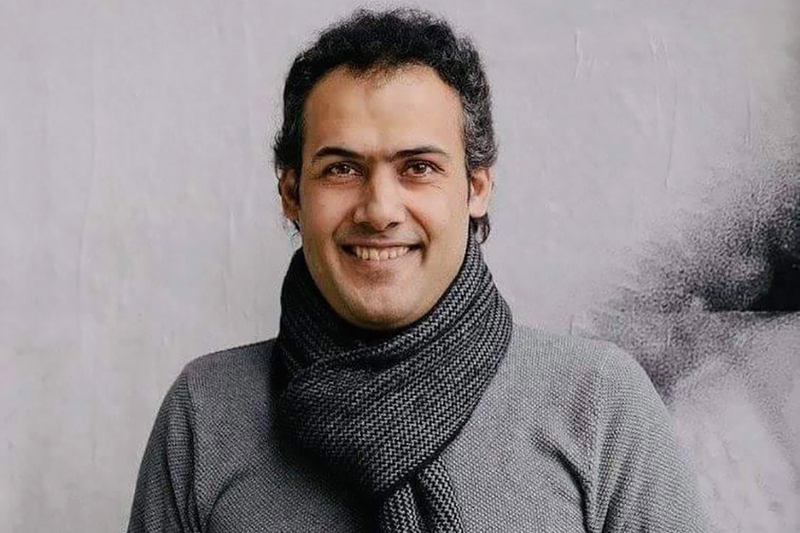 “The war has caused a crack inside our society, and earning people’s trust in Syria to connect them with the project is yet another big problem, but things are changing,” Hadi counts his achievements. Check out their crowdfunding campaign here.